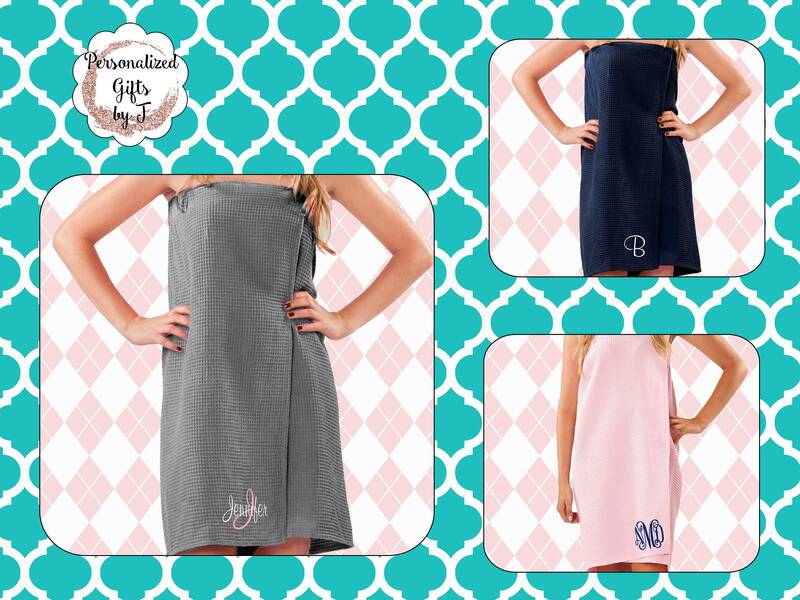 This listing is for 1 Personalized Towel Wrap. 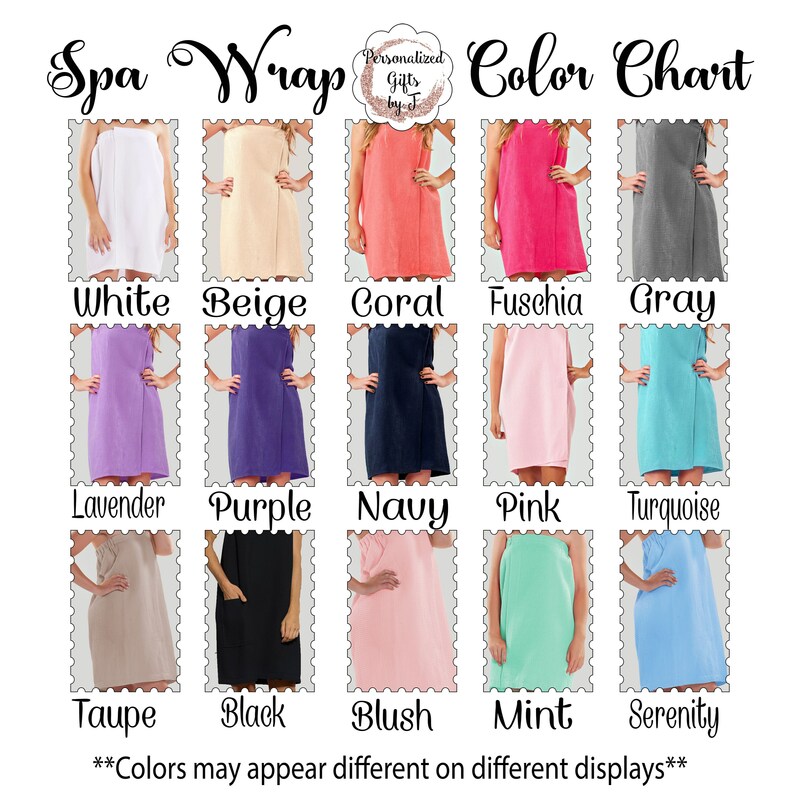 Our Monogrammed spa wraps are perfect for the bride, and her team of girls to get ready in one the big day! 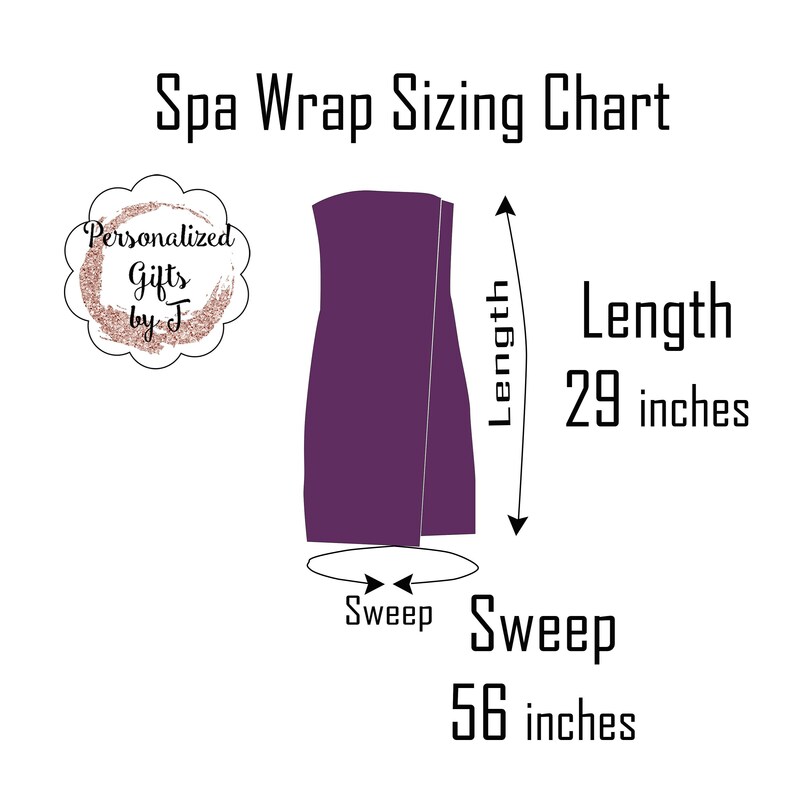 If you are wanting a set of 6 enter 6 quantity. 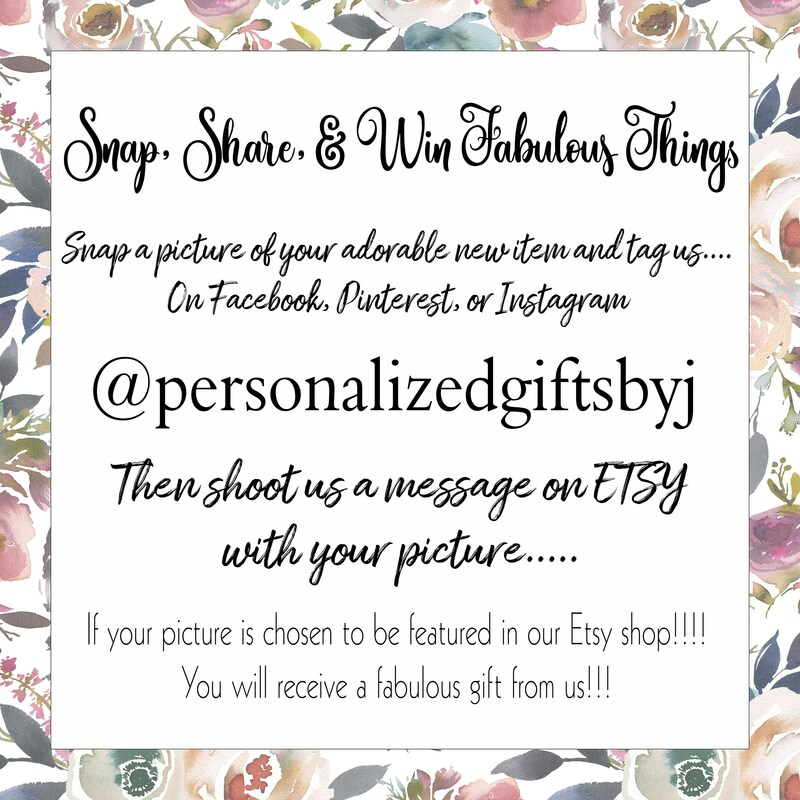 ●✿● Embroidery area will be approximately 4 inches x 4 inches. Bottom corner of sweep. 2. 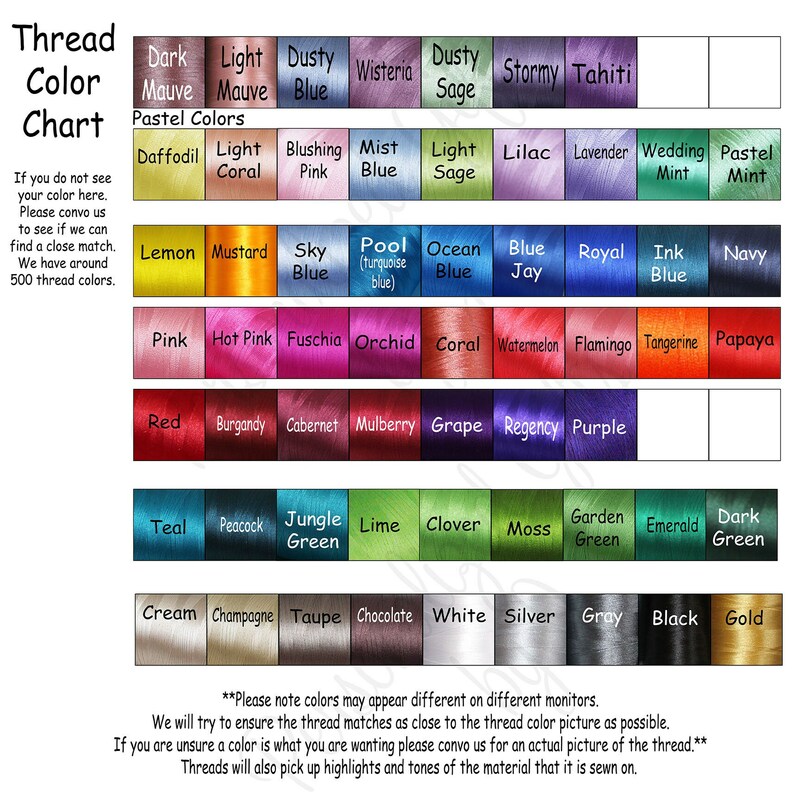 Thread color (for style 3) please choose 2 thread colors. 3. 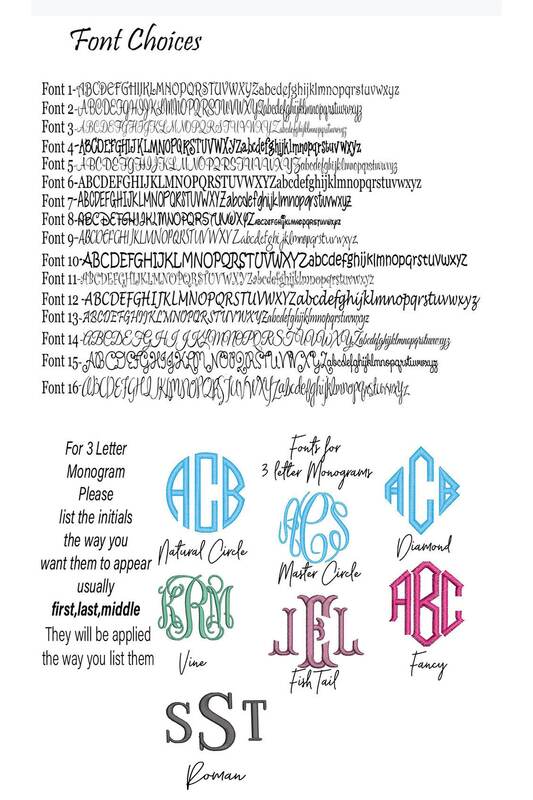 Personalization information- For three letter monogram Please list your initials first/ last/ middle. 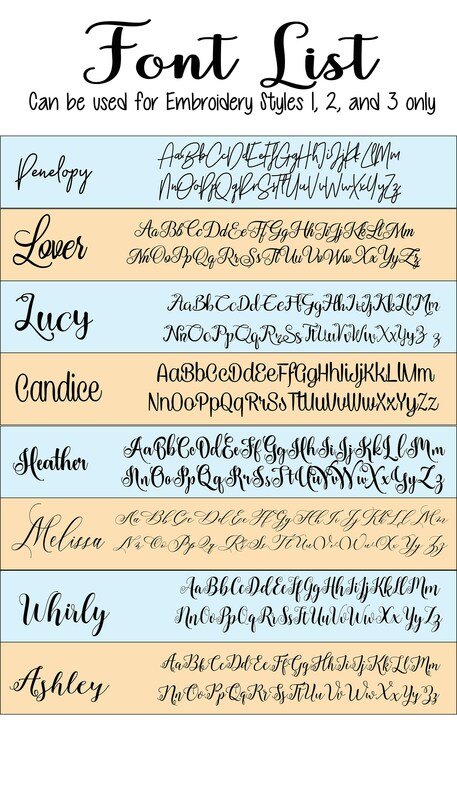 I will embroider them the way they are listed. 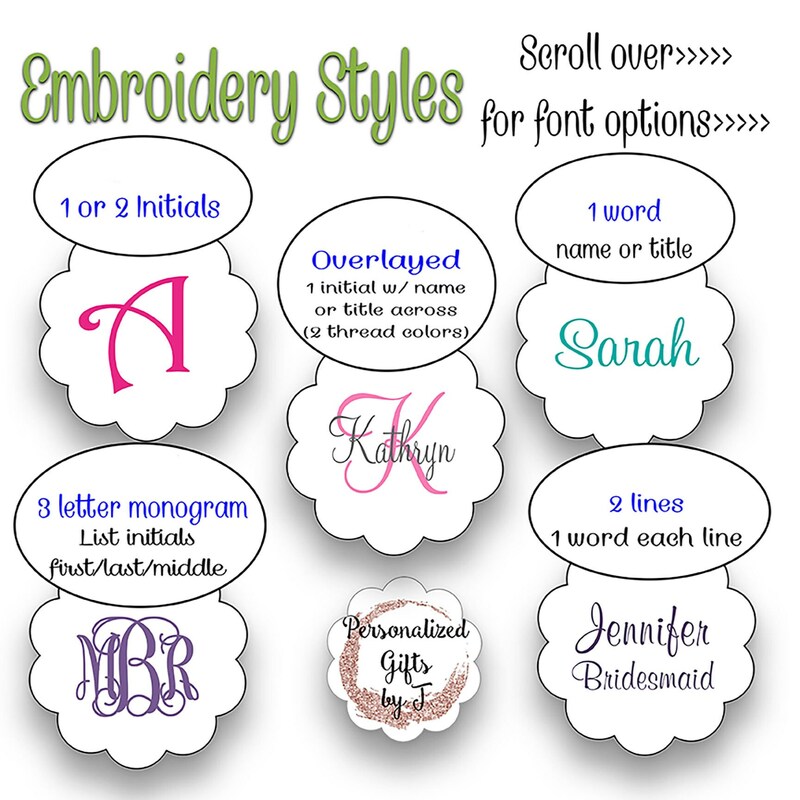 Please choose your embroidery style from the drop down menu. 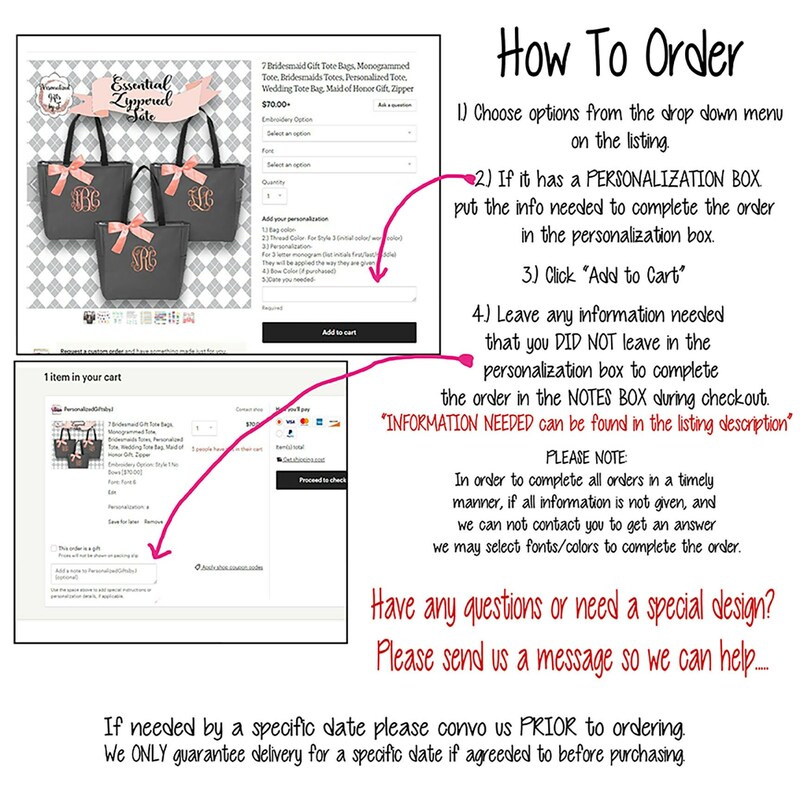 Came exactly as described and seller was very helpful. This will make the perfect gift for the soon-to-be college student I bought it for.